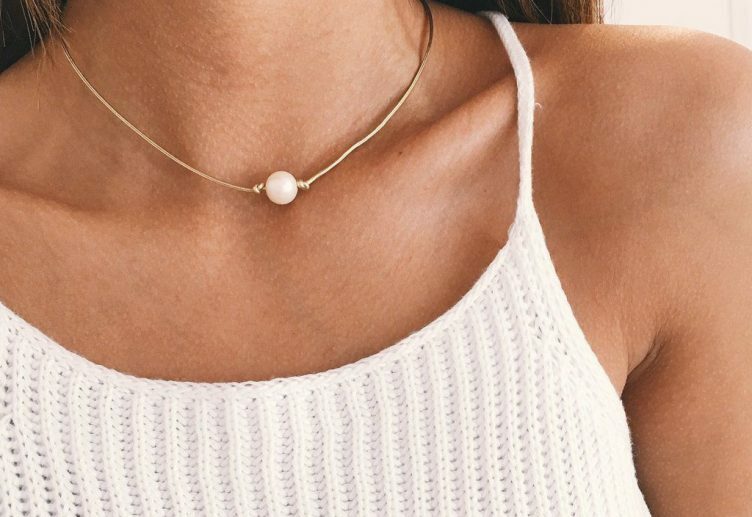 10 Pearl Choker Necklaces that Are Perfect for Any Formal Occasion! 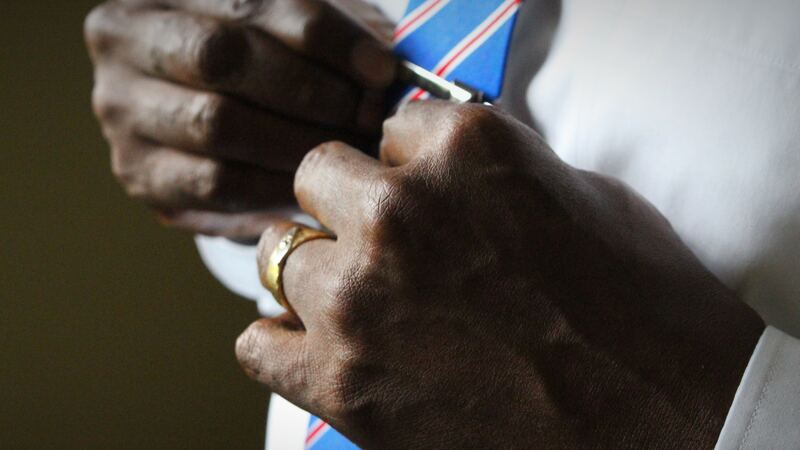 We understand formal occasions come with a lot of stress. What clothes to wear, what jewelry would go with the clothes, should the shoes be matching or contrast and what not! You are often overwhelmed with the type of look you want for the formal occasion. The situation has become even more stressful since everything is shared on social networking platforms and it stays there forever. So, now you have to be extra careful with your looks. 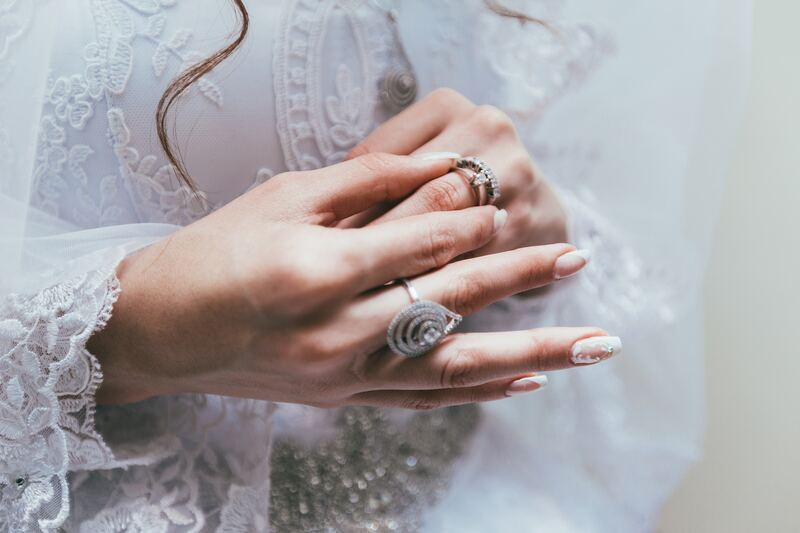 Another problem while choosing the right jewelry with the right outfit is the fact that you don’t have enough time to match jewelries, shoes, accessories with our desired outfit. 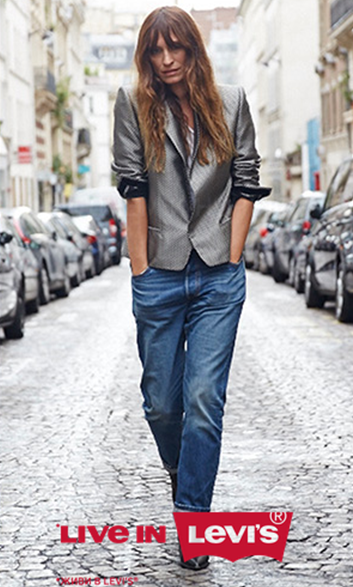 With work, studies or other responsibilities, styling jewelry with the right outfit becomes tough on your part. We can completely relate to your problem and hence identified a good scheme to wipe out your worries. Create a collection of 10 pearl choker necklaces that will suit on any formal occasion. On each occasion, pick one randomly from there and look fabulous both online and offline in the formal event. Top 10 pearl choker picks! Plain black chokers are the safest bet for almost any occasion, be it casual, formal, semi-formal or even a themed event. They go well with all types of clothing and colors with low and high necklines alike. We do recommend that you keep a plain black choker in your collection for everyday wear but for formal wears; you would need to add up a bit with that plain choker of yours. With black plain chokers, it’s easier to experiment with pearls. Basically, any shaped pearls would go with the choker but round pearls are our personal favorite in this matter. They are sleek, elegant and never go out of style. Simply create a ring with round pearls and attach it on the middle of your black choker. The combination of black and white is suitable for all colors of dresses and all styles of outfit. 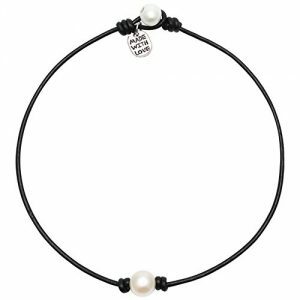 So, when you don’t have the time to choose any jewelry, just go with this plain black choker with round pearls. We assure you; you would look great and be able to carry it off quite well. If you feel chokers with one layer would look too simple for formal events, you can always add your own touch to it. You have two options. 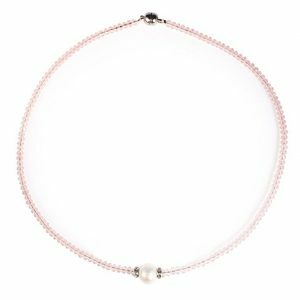 You can choose to wear one statement choker with pearls on it and wear two to three pearl strand necklaces along with the choker. Or simply you can go for layered chokers with pearls at the base of it. Remember layered chokers will make your neck the focus area. So, in this case, an outfit with low neckline will look better compared to a high neckline. If your outfit is more of simple texture, styling it with a layered pearl choker will give it a glamorous look. We would recommend that you avoid layered pearl chokers if your dress is shimmery. If you are wearing layered chokers, it is better not to wear statement earrings with those. That is because layered pearl chokers will be the center of attraction of your look, statement earrings will dilute the overall look you were hoping to create. When we say bling, we literally mean bling! That is, something shimmery and that grabs everyone’s attention towards you. Of course you would want positive attention and appreciation about your styling. If you think bling pearl chokers are a risky option for formal events, you need to reconsider your decision. Why? Because bling pearl chokers look absolutely fantastic with formal skirts, pants or dresses. 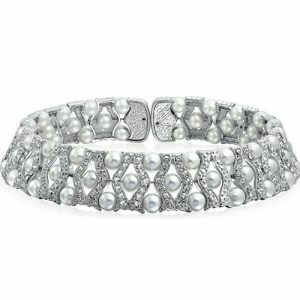 Usual bling chokers would have been too flashy and overwhelming for formal events but now we have pearls to tone it down. Peals go well with thin bling chokers. You will find great bling choker pieces with alternate strands of pearls. Those work best for formal events. 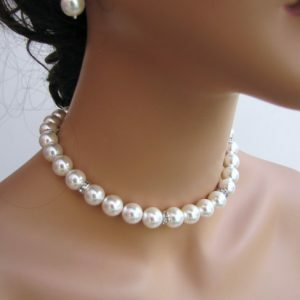 If you are going for a specifically strict formal event, the safest choice would be to go for thin bling pearl chokers. Other than watch, we would suggest not to wear more jewelry with bling pearl chokers on formal event. One of our favorite pearl shapes is drop shaped pearls. A mix of drop shaped pearls arranged in any order look really well as a neck piece. With ribbon or lace chokers, drop shaped pearls look marvelous. This remarkable combination will help you with the elegant and classy look you have wanted to create for your next formal event. Don’t worry even if you don’t find this combination of chokers in nearby stores, this particular choker type can be easily made at home with right directions. All you need is the ribbon or lace fabric, some good quality pearls, scissors and glue gun. You can place the pearls according to the specific design you want. Therefore, this is quite a convenient option for you if you are on a budget. You can save that extra money to focus on a great outfit for the formal event. Zigzag patterns of pearls look great on lace, felt, metal plate and chain choker. For formal events however, the safer option would be to go for zigzag patterns on lace or felt chokers. 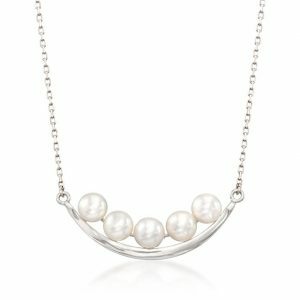 If you like spending time on your jewelry or usually keep more focus on jewelry rather than outfit or shoes, zigzag style pearl choker is the right option for you. 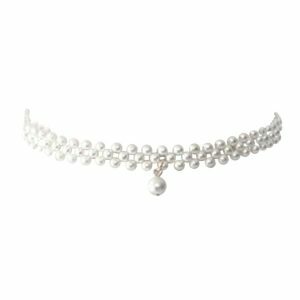 This particular type of pearl choker combination is a sophisticated look that will go well with all types of formal attire. One thing you should keep in mind is the color of your outfit. For pearl colors, usually going for light golden or white is the best option. But you can experiment with lace color of chokers. Black is the most common color for chokers but there are no hard and fast rules about using some different color. So, make sure that your choker’s color is in contrast to your outfit’s color. Otherwise, matching neckpieces look really out of fashion nowadays. If you are bored with only combination of pearls and choker, you can mix them with other materials too. For instance, beads look great with pearls. But with the color of beads, you have to be extra careful. Specifically for formal events, bright colored beads should strictly be avoided. With lace or daisy chain chokers, oval pearls look great in between them. In this case, you can go for different colors of pearl ranging from yellow, white, golden or lavender. For the beads however, you should stick to only monochromes. Our recommendation would be to use silver or light pink beads. With this combination of pearl and choker, you can wear other jewelry items to suit your style. That is, it’s okay if you want to wear bracelets or stud earrings with your choker. 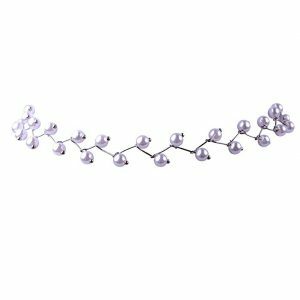 If you like wearing multiple jewelries at a time, oval pearls choker is a suitable option for you. One of the most delicate pearls is shell pearls. If you take great care of your jewelry, shell pearls look most distinguished and fashionable with any attire. Usually we tend to avoid shell pearls because of its frailness and the care needed for it. 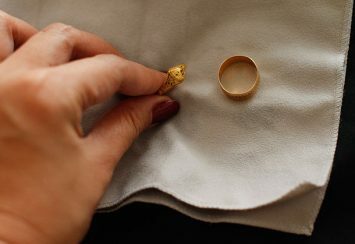 Therefore, for shell pearls you should be extra careful while handling them. Moving to the styling of it, any hard based choker such as metal plates or velvet fabric is well suited for shell pearls. For gala events, weddings, office parties or charity balls, shell pearl chokers will look exquisite on you. We would say this combination is more than just an artistic duo, it impacts your overall look and persona. Another great style for formal events would be to go for cultured pearl in curved bar choker. This is a rare jewelry piece and most people are nervous about going for this option since most feel they won’t be able to carry it off. That is a misconception about this piece. The uniqueness of this particular pearl choker makes it stand out from the rest. The great thing about this beautiful neckpiece is that its quality and artistic attribute will speak for itself. If you have your outfit ready, we suggest that you go for cultured pearl in curved bar choker. This particular type looks good on minimalistic look as well. 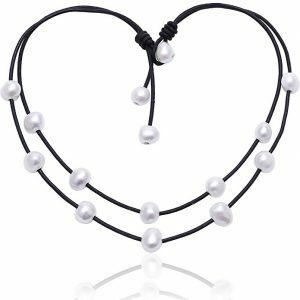 That is, for your office presentation, if you are wearing white shirts and formal pants too, curved bar choker with cultured pearl will look great there too. Baroque pearls are one of the most popular choices among an expensive range of pearls. The reason is its unique shape and texture. Black colored pearls send a bold message and look. So, if you are not confident about your outfit for the day, black cultured baroque pearl will make things quite easier on your end. If you go to an event wearing those, we assure you, nobody would bother what dress you are wearing, all the attention will go towards the exquisite piece of jewelry you are wearing. One of the added benefits of this choker is that it looks great on camera. So if you like to share your story every now and then, going with this combination would be suitable for you. But with baroque black pearls, you have to be a bit flexible with your budget. Baroque pearls are on the expensive end and so are black colored pearls. Thus, you would have to spend a bit more compared to other jewelries in this case. But we can assure one thing, the price is absolutely worth its beauty. This is one of our favorite combinations when it comes to adding pearls to choker. Tahitian pearls are one of our absolute favorites due to its great texture and shining black color. For formal events with more lights, you don’t need highlighter to look fleek; these great pearls will do the work for you. We feel that any other choker design will not do justice to this organic pearl. The pearl will only look good on velvet fabric chokers. Now usually you will find velvet fabric chokers in colors of black. Well, black fabric with black pearls won’t look bad but we would recommend that you choose a different color of fabric. One drawback of this combination is you can’t wear it with all colors of outfit. It will look good on subtle colors but with dark colors, its beauty will not get that kind of exposure. This neckpiece will also cost you higher since Tahitian pearls are expensive too. Pearl chokers are great neckpieces to wear on a formal event if adorned with pearls. Although pearl or not, you need to be aware of certain style rules with choker. We understand that if you can carry it off, any rule can be broken. But for formal events, we would suggest that you stick to these rules to avoid what we term as ‘fashion disaster’. Usually chokers go well with most types of necklines. But for turtlenecks, wearing chokers is a strict no. You will not be able to place it properly with that neckline and it will look very out of the place. With other necklines you can experiment with chokers, but when it comes to turtlenecks, fashion rules suggest that you strictly avoid wearing chokers with them. With turtlenecks, you can choose to focus on other areas such as ear or wrist rather than your neck. When it comes to choosing colors of choker, the thumbs rule is to opt for black, silver or golden. It goes well with all types of outfit. Also, when you are pairing pearls with them, these three colors will look better than the rest. We do not discourage you to go for other colors though, but if you are confused you can always choose among these three. We have mentioned this before and we would restate that again, wearing any bold earrings with pearl chokers specifically should be avoided. If you really like earrings, you can wear small ones or stud earrings, statement earrings especially should be avoided with pearl chokers. Chokers look great with off-shoulder dresses. It complements the style really well. Off-shoulder dresses are now becoming trendy again for formal or party wear. So, with those new clothes of yours, don’t forget to accessorize it with great pearl chokers. The most important part about wearing any outfit or jewelry is to be comfortable with it. If you are uncomfortable wearing something, it will directly reflect in your face. So avoid wearing chokers that are too tight. 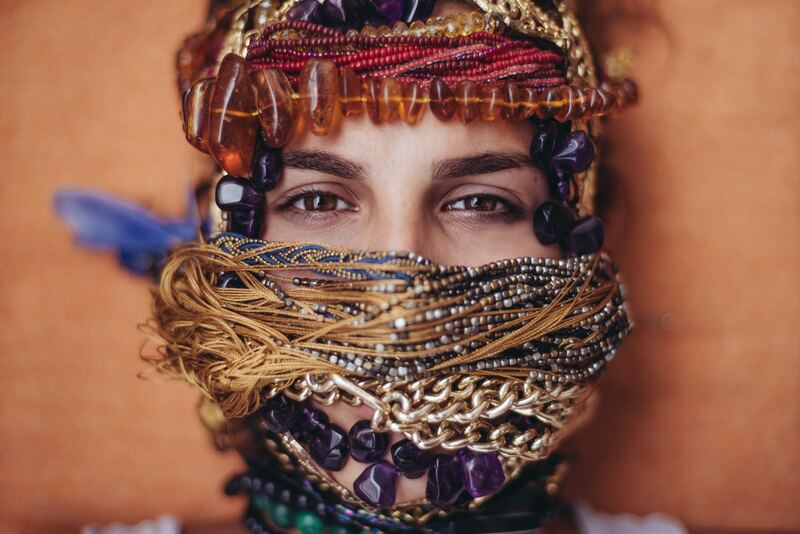 Try to be comfortable with the jewelry you are wearing. This statement is true not just for pearl chokers but for any jewelry or outfit in general. Popular pearls to know about! While buying your pearl chokers, you should be well aware of the pearl categories as well. They are named according to their origin, which is where they come from. But the origin impacts the price, texture and quality of the pearls as well. The classic and most common pearls are the akoya pearls. Their size range is generally from 4-10mm. they are mostly of round shape with a reflective luster. It’s easier to find akoya pearls in generic off-white color but there does exists other colors such as silver, lavender etc. for this category of pearls. This pearl price range is comparatively cheaper than other pearl types due to its wide availability and easier access. You can add akoya pearls with your choker or you can wear a long length akoya pearl necklace with your choker. Freshwater pearls are more popular for its baroque shapes. 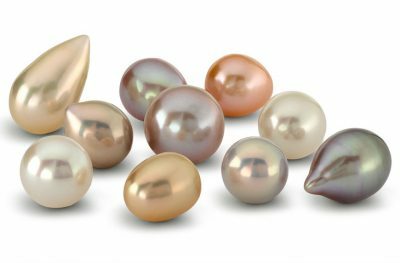 When it comes to options in terms of size and color, freshwater pearls offer more options compared to akoya pearls. Its colors are usually natural pastel or white. It has fewer lusters compared to the other pearls. 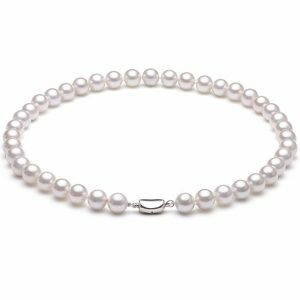 Freshwater pearls are suitable if you are looking for an affordable pearl choker. Also for DIY pearl chokers at home, you can try with freshwater pearls. These are one of the largest pearls ranging from 5mm to 12 mm. For your choker centerpieces, freshwater pearls would look more apt rather than other pearls. They are what we term as ‘dark, exotic pearls’. The reason is its unique black color. When your jewelry has Tahitian pearls, it is automatically considered a rare or exotic piece. 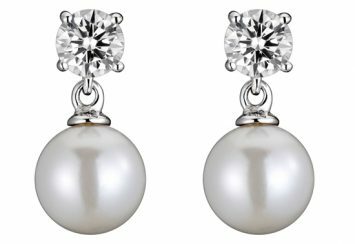 These are one of the most valuable and rare pearls. 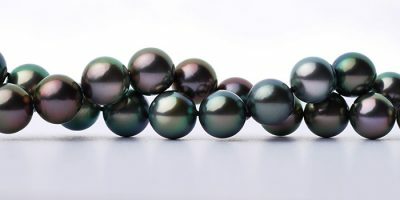 You will find plenty of colored Tahitian pearls with black being the most popular one. 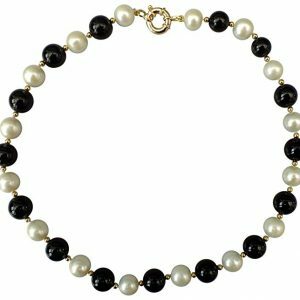 If you want different colored Tahitian pearl on your choker, it would be quite difficult to find and you would have to make it customized. What we love about Tahitian pearls is the variety in its shapes. It comes in shapes of drops, baroques and ovals, all of which look great as neckpieces. The size ranges from 8mm to 15mm. For a formal event, if you can manage a choker with Tahitian pearls, you have absolutely nothing to worry about at all. The largest sized pearls are south sea pearls. Their size ranges from 8mm to 18mm. Because of its size, you can safely assume that it would look great on a choker if the patterns are spread alternately. South sea pearls look great as statement necklaces and we feel it’s a good choice for pearl chokers as well. If you want perfectly round shaped pearls, south sea pearls would probably not be your best option. For its large size, it’s difficult to find perfectly round shaped south sea pearls. The common shapes of south sea pearls are drops, baroques and ovals. Also, these pearls are pretty expensive too as they are mostly grown in Australia, Philippines and Indonesia. Other than these, there are few other exotic and rare pearls available as well. But you will find it extremely difficult to find them as pearl chokers. 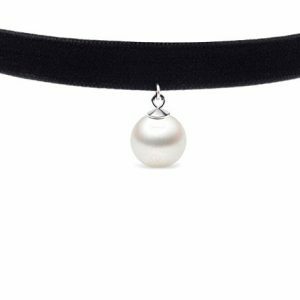 Hence, if you are looking for some rare pearls on choker, you will have to get that customized. For a formal event, you need to be very color specific. As mentioned before about the preferable pearl choker necklaces, here are our thoughts on the common colors you should choose and you shouldn’t. With white pearls, you have nothing to worry about. They are probably very common and generic but go really well on chokers. If you want a safe choice with your formal attire, white pearls are a yes from our side. They are affordable, easier to find and will suit well with any choker base color. 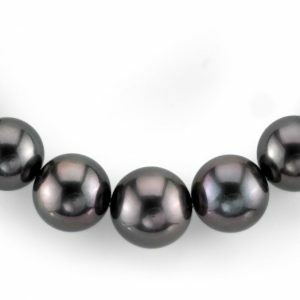 Black pearls look more classy and elegant for formal events. But they can sometimes be difficult to find. If you do not have a budget constraint, black pearls are good for all types of formal events with all types of attire and look. Light pink pearls look really great with gowns and dresses. But with suits and pants, pink pearls might not be the right choice for you. Therefore, if your formal event is of a wedding or gala dinner, you can go for pink pearls. But if the formal event is an office meeting or presentation, pink pearls are a no from our side. 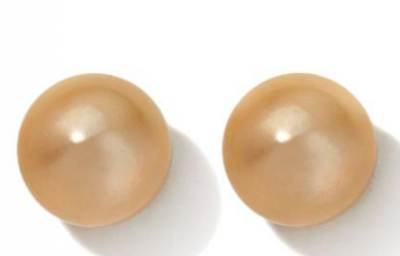 Golden pearls look great in formal parties or charity balls. But with suits, the matter is subjective. If your top is fancy, you can experiment with golden pearls but with strict black and white combination suit, golden pearls are better to be avoided. So, golden pearls are specific to some formal occasions only and not all. Lavender pearls are a bit difficult to find but they look great on chokers. Since the color is quite subtle, you can wear it with all types of formal attire making it one of the ideal choices for any formal occasion. For formal events, multi-colored pearls are a strict no from our side. 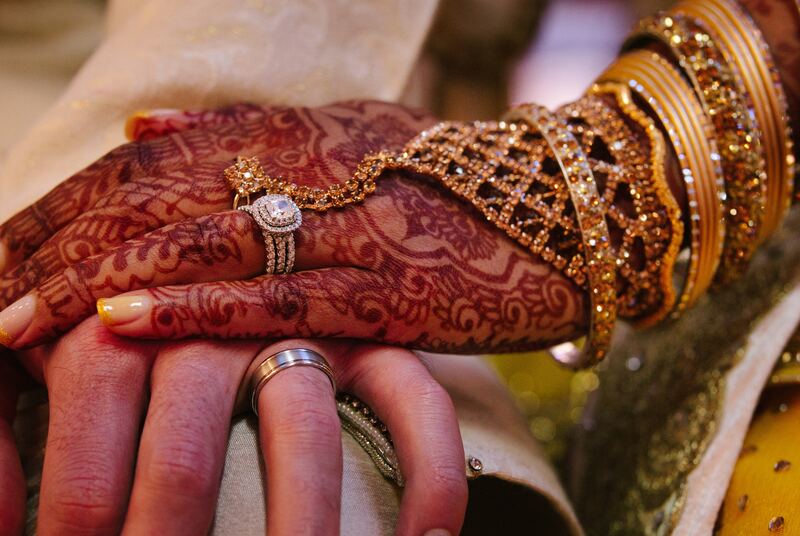 Too much color on the jewelry makes it a completely wrong choice for formal events. You can experiment with the choker base color but for pearl colors, you need to be a bit careful. When you put pearls on chokers, there are only a few specific types of chokers that go well with pearls. For your choker choices, we believe you should stick to mostly silk, velvet, charmed, tattoo, lace, dainty or statement chokers. Velvet and charmed chokers are our personal favorite when it comes to pairing them with pearls. Other than that simple thin chained chokers surrounded by pearl beads all over is a good option to start with. Pearls are sensitive organic gems and you will have to be careful while taking care of them. Some tips from our side about pearl chokers are as follows. 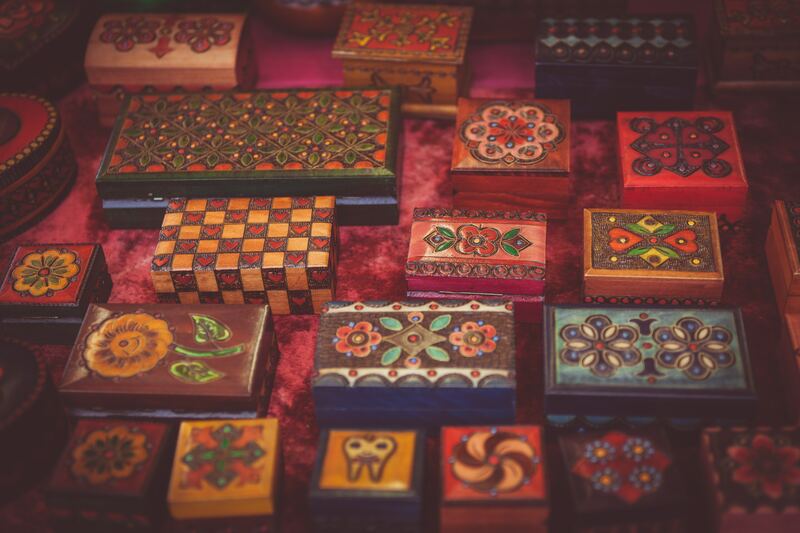 For your pearl chokers, you need to use compartmentalized jewelry boxes rather than normal ones. Pearls are sensitive gems and might get scratched or distorted if comes in contact with sharp objects. Pearls are sensitive to chemicals. Therefore, keep them away from body spray, hair spray, setting spray and makeup with various chemicals. Always wear pearl choker at last after you are done with wearing your makeup and perfumes. While bathing, wearing pearl necklaces should be avoided. This is because water can weaken the silk thread. Do not dip the pearls on water thinking you can clean it. For cleaning the pearls, what you can do at best is wipe it with a clean soft cotton cloth. If you feel that your pearls have become quite unclean, do not go for washing it on your own. You need to take it to your jeweler and let them handle the rest. This thing is quite common for white pearls and the color starts to fade off if they are not taken care of properly. 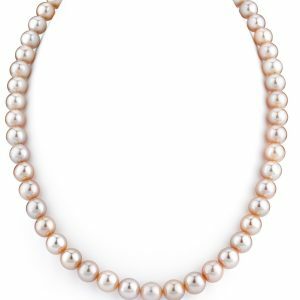 Any pearl necklace that is less than 16mm is termed as pearl chokers. With the recent trend of individual chokers, you can easily match those styles adding pearls to them. With a good collection of pearl chokers, you don’t have to worry about your neckpieces for formal events at all. Just select your outfit and shoes and pick any of the pearl chokers from your collection and you are good to go.